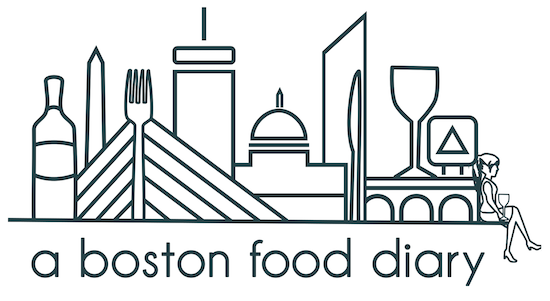 A Boston Food Diary: Field of Dreams & The Jig is Up! WOW -big night! I will be writing a full, very detailed, full of photos post tomorrow on the AMAZING meal I just had at Wilson Farms Farm to Fork Dinner. What an amazing celebration of local produce. Every dish was artfully crafted, and full of incredible fresh flavor. I am still in awe from each dish. The second part of this evening- Daisy, a reader, guessed where The_SBK and I will be headed in just a couple of weeks! Seattle is the great destination! Why are we headed there? 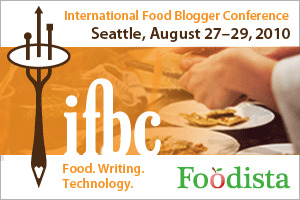 Katie and I will be headed to the International Food Blogger Conference, put on by Foodista in the great city of Seattle! I am so excited to be attending this event which is chock full of not only amazing speakers, but some food bloggers that I truly admire. Over the next couple of weeks (we leave on August 27th) I know I'll be talking more about it, but for now I can just say that I am utterly excited and totally thrilled! Katie's first clue: A compass to head west- though many of you guessed California, Washington State is another great state in the North West- and one that I haven't previously visited! Katie's second clue: A Notebook and her party shoes- there are so many amazing speakers and educators that a note book is more than necessary. Party shoes- well- there will be some fantastic networking and social opportunities- some that I am thrilled to be able to attend! My third clue: a needle- as in the Space Needle! A landmark I cannot wait to check out! This trip has been in the works for months and I am so glad to finally be able to share my excitement with you! On that note- I wish you a very good evening- I still have visions of a farm dinner dancing in my head! That is so exciting! I can't wait to read your posts from the conference! And we will be on the West Coast at the same time, as I will be visiting my friend Emily from W&L in San Francisco from August 26 to the 31! Two weeks away! I'm glad it was guesses, I'm terrible at staying cool and hiding excitement! Happy Friday!!! Can't wait to hear about your farm dinner!